Earlier this week I posted about the importance of exfoliating your face in fall and winter (click here for a refresher!). Now that you know how important and easy this is, it’s time to decide which product is best for you. Just like all faces are different, so are exfoliants. There are many different options created for your varying skin needs. Have you ever been confused about what exfoliating product to buy? Well, that is why I am here! Daily or weekly regimen… large or fine grains?! If you were confused before than below you’ll find all the help you’ll need to decipher the exfoliation code! Exfoliating will always create cleaner, smoother and healthier looking skin. So the more frequent the practice, the more you are able to help the skin’s rejuvenating process. However, since a wet-shave is also considered an exfoliation, you’ll want to be mindful of not over-doing it. Everyone’s skin is different, so one important thing to be aware of is how your face tends to accumulate debris. For example, some men have oily skin which is prone to clogging; whereas, others have dry skin that requires extra moisture throughout the day. These differences will be a factor in determining how frequently you need to exfoliate. Another consideration is the thickness of your facial hair in relation to the toughness of your skin. Men with tough beards and rougher skin will be able to tolerate a more aggressive exfoliant compared to those with softer beards and softer or more supple skin. How big should the grains be? 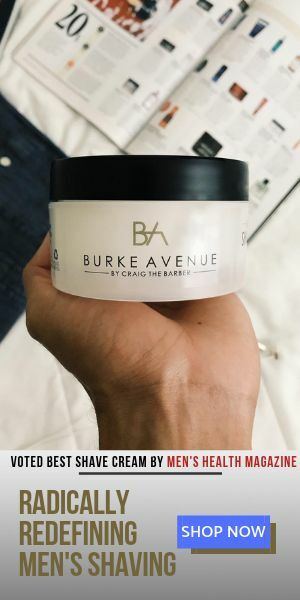 If you’re one of the men who has a daily shaving routine or more supple skin, you’ll want to stick to the finer grains since the scrubbing strength is not as aggressive. In contrast, the larger grains are reserved for the regimen that incorporates exfoliation fewer times a week, since they will most likely irritate the skin if used daily. These grains are ideal for those with heavy build up and tougher beards. Bottom line… both practices equal smoother and younger looking skin, and an even better shave! Here are a few items that I like! If I have oily skin on my face and body is exfoliating twice a week enough with larger grains? Hi Alex, 2-3x’s a week is plenty. Just make sure to use a great moisturizer that will be able to moisturize and heal.